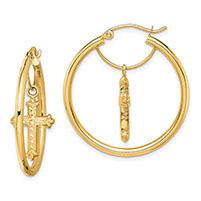 An amazing gift for everyone on your list, our pair of endless hoop adorned with a small cross gold earrings. The fine jewelry from Apples of Gold are set in 14 carat yellow gold with a polished finish. Our endless hoop with small cross earrings measure 18mm in length and 4mm in width. 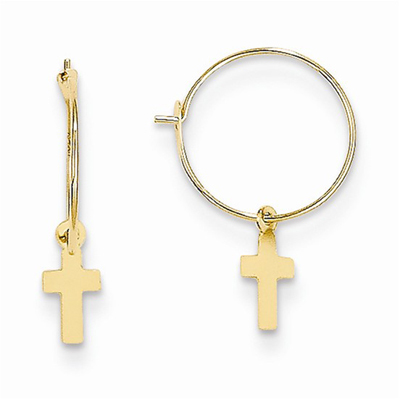 We guarantee our Endless Hoop w/Small Cross Earrings, 14K Gold to be high quality, authentic jewelry, as described above.